What Is A MobiTalki Mobile Site? 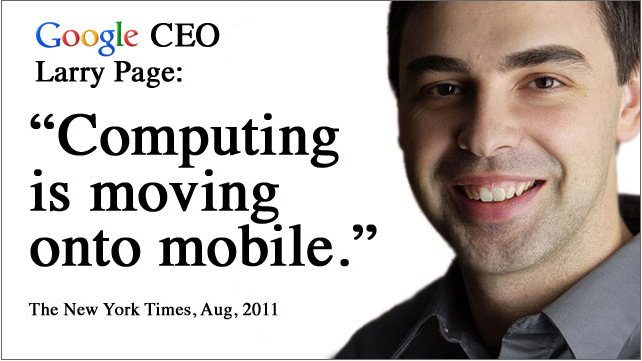 Put Your Business On More Than 5 Billion Mobile Phones! 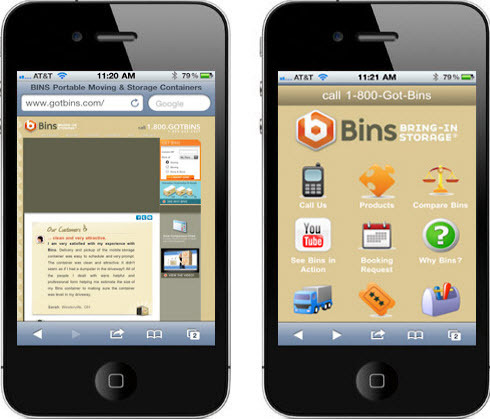 The perfect option for anyone looking for a mobile presence! We build your site...You manage it: Editing is fast and simple! Instantly Your "Mobile Friendly": Loads quickly, no more frustrated clients waiting for a slow site, or squinting, or pushing & pulling at small type. Over 16 new features and product enhancements added including mobile ecommerce - read more about the new upgrades here. Mobile users outnumber PC users, 4 to 1 Most websites won't work on a mobile phone! Don't frustrate and turn away your largest growing visitor group with a hard to read site. Use your own icons: Even greater customization possible by using your own unique icons. Create them yourself, or find them on the web. Auto Detection of Mobile users: We supply you with easy copy and paste code that automatically detects mobile users visiting your main site and redirects them to your more user-friendly MobiTalki mobile site. It's Easy to modify...- Log in, make your changes and hit "Publish." Knowledge of coding or complicated web design is not needed.